From its famous beaches to its magical rain forests, there many interesting and beautiful places to visit in Puerto Rico. But there is one that is full of mystery and wonders that you definitely don’t want to miss! Take a trip to a famous cave located in the northern coastal town of Arecibo that will surely amaze you… Cueva Ventana. 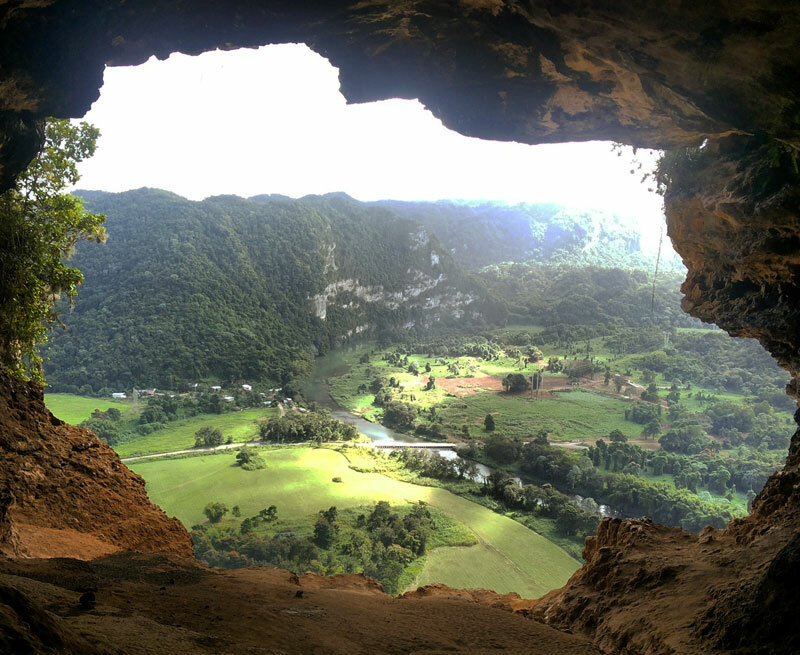 Cueva Ventana (“Cave Window”) is a large cave that overlooks the Río Grande de Arecibo valley. It is a popular tourist attraction for locals as well as tourists because of its breathtaking beauty. Due to its location on private property and a rise in popularity and visits during the past years, an admission fee of $10 per person was implemented which includes necessary equipment like a helmet and flashlight for protection. During your visit, it is important to protect the ecosystem found in the cave. Watch out forstalactites, stalagmites, five different species of bats, snakes (Puerto Rican boa) and a variety of insects (mainly spiders)which make up the fauna and flora of Cueva Ventana. The tour begins with a short introduction by a biologist specialized in the cave’s ecosystem. The guide will give your helmets. Next, a tour guide is assigned to each group, and they will be accompanying the group throughout the journey. 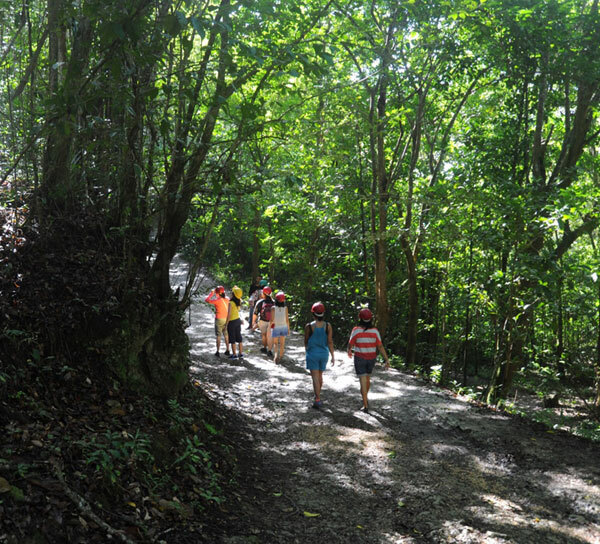 The path begins with a small trail showing little caves on the side and the local flora and fauna which includes various kinds of birds. Ask your guide to help you identify the different sounds each species of bird makes and watch the trees closely, you might be able to see some of them! 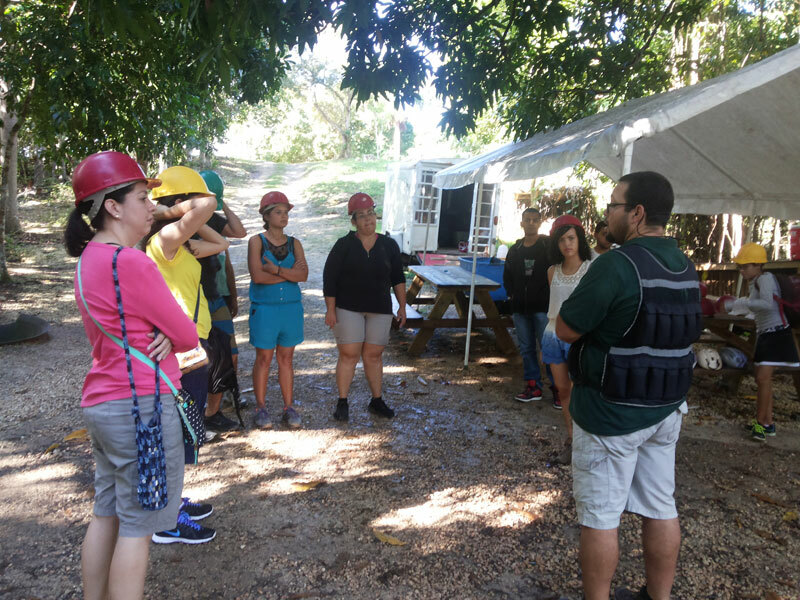 Soon after you enter the main cave, where you receive your flashlight, you follow a path in the cave leading to the “Ventana” or “Window” which is a large outlook to the countryside where you can see the Río Grande de Arecibo, Arecibo’s largest river. The view is absolutely spectacular and this is a great spot for a photo. 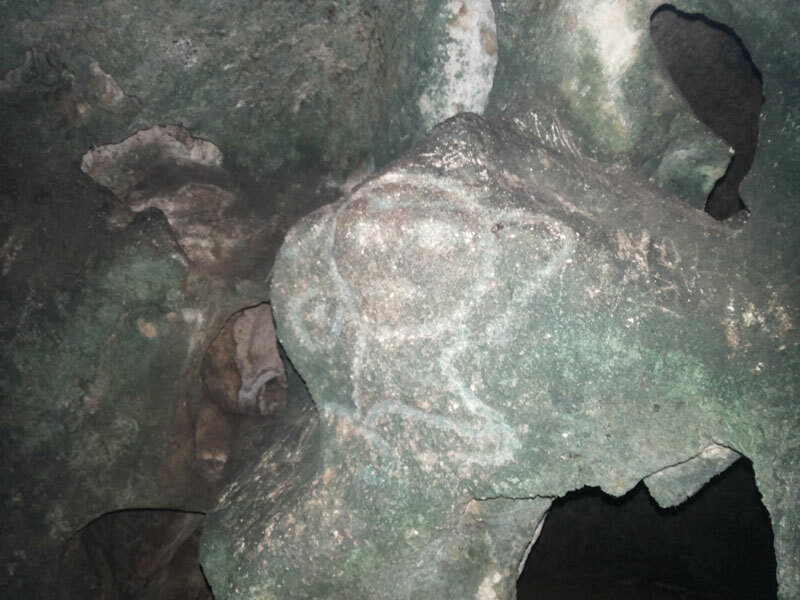 Additionally, you can see Taino Indian petro glyphs, drawings in the cave’s walls left by the islands’ original indigenous inhabitants around 500 years ago. After you exit Cueva Ventana you can continue your journey into Cueva Clara (“Bright Cave”), a smaller but equally beautiful cave. Tip: Remember not to point your flashlights to the cave’s roof since the light can disturb the bats living in the small orifices. The tour guide will have a red-light flashlight which is used specifically for that purpose. The 2009 Disney Channel Original Movie Wizards of Waverly Place: The Movie was shot inside the cave as well as the 2013 film Runner, Runner starring Justin Timberlake and Ben Affleck, which was filmed in the summer of 2012. In 2011, the cave was used as one of the settings for the 2012 British TV miniseries Treasure Island. If you have Google Maps on your computer or cell phone you can find directions by searching: Cueva Ventana (or Window Cave), Hato Viejo, Arecibo, Puerto Rico and it will indicate the route to follow. Headed from the PR-22 West to Arecibo, Puerto Rico take exit 75 B (right lane) that leads to the PR-10 in the direction of Utuado. Keep going on the PR-10 for about 6 minutes until you find a Puma gas station which you will turn left, this is the entrance to the cave (it will be labeled). Next articleDon’t Miss the San Sebastian Street Festival in PR!